When the dead return, hungry for brains, smart folk know that the only way to stay alive is to stick together. This Cortex Plus ACTION ROLEPLAYING hack focuses on the Player Characters as a team of survivors, thrown together by circumstance and working together to make it in a world overrun by zombies of many different varieties. There are only three things they have to do: (1) scrounge for resources, (2) avoid antagonistic survivors that want to steal their stuff, and (3) when they inevitably run into a horde of zombies…go for a HEAD SHOT! HEAD SHOT! is not a standalone game! It uses the ACTION ROLEPLAYING flavor of Cortex Plus, found on pages 116-154 of the Cortex Plus Hacker’s Guide. Enter the end times with Zombie Apocalypse, the first book in The End of the World roleplaying line! The dead rise and stalk the earth, hungry for the flesh of the living. All that stands between a zombie and your brain are your skills, wits, and talents. Life as you know it is about to end, and one way or another, you’ll experience the apocalypse and make your way through the aftermath… if you can survive that long! If you’ve ever wondered how you’d cope with an endless onslaught of flesh-hungry undead, you can find out in Zombie Apocalypse. I have no heartbeat, no breath, no smell, just cold, clammy flesh animated by something I don’t understand. So I sell my dead flesh to the highest bidder. If the price is right, I’ll kill for you, steal for you, or save your life for you. There’s no mystery you can’t hire me to solve… apart from this one. Nearly two decades have passed since the fall of the United States. And the rise of the church to fill the void. Nearly twenty years since Ian Sumner lost his father. And the dead took to the streets to dine on the living. Now Ian and a lost band of survivors are trapped in the wilderness, miles from safety. Pursued by madmen and monsters, they unravel the secrets of the plague…and walk the line of heresy. Now Ian and this troop need to do more than just survive. More than ever, they must learn to live. Dead Things is available now in PDF format at DriveThruFiction.com! Mark Rein•Hagen brought dragons out of the dungeon and into the coffeehouse 20 years ago with a relevant and achingly literary spin on the undead, then vanished. Now he’s back with a new game for a planet crawling back from economic disaster. Award-winning game designer and TV producer Mark Rein•Hagen knows what scares us, so now that he’s back with I AM ZOMBIE, his first all-new role-playing system in nearly two decades, we might all want to check our neuroses at the door. The good news is that the co-founder of White Wolf Publishing (now owned by Icelandic MMORPG game developer CCP) isn’t shy about making sure not to serve loyal fans or new gamers any stale nightmares about the walking dead. It’s too late! The living dead have already taken over the world. Your brains have been devoured. Nothing is left but spasms of ravenous need—an obscene hunger for even more zombie fiction. Forget the metaphors and the mildly scary. You want shock, you want grue, you want disturbing, gut-wrenching, skull-crunching zombie stories that take you over the edge and go splat. You want the bloody best of the ultimate undead. You have no choice. . . you. . . must. . . have. . . Extreme Zombies! Comment in this post! Say something witty about zombies for your chance to win a physical copy of this collection! This contest will end in a week, so hurry up and zombify us already! The Legions of Emperor Augustus have returned victorious from putting down a massive revolt among the Germanic tribes of the Danube frontier. While Rome basks in its success, a new foe is gathering in the darkness of the Carpathian Mountains. When a young boy shows up at the distant fortress of Troesmis, it falls to Optio Gaius Justus Vitalis and his centurion to investigate the horrors described by the young refugee. It is just the beginning of a struggle between the Eagles of Rome and the undead forces of an enemy that could halt the Empire’s northern advance. It’s Romans vs. Zombies in this first novella of the Carpathian Interlude series. Get ready for action, mystery and blood in this clash between Light and Dark. Immortui is available now in multiple eBook formats at DriveThruFiction.com for only $0.99! Are you ready for the next zombie attack? 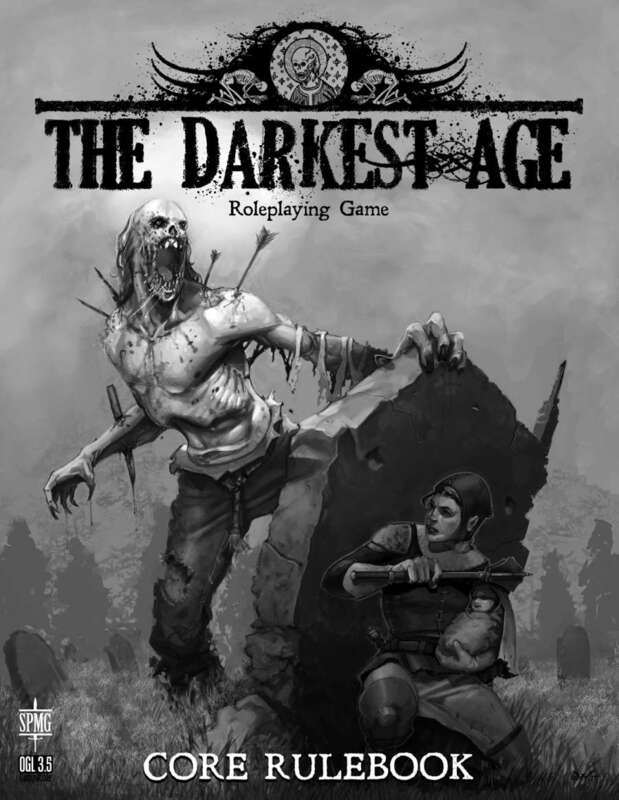 Can you survive all of the many dangers, both undead and human? A new online quiz has been published on the Zombies of the World website (www.zombiesoftheworld.com) to help educate the public. The quiz assesses personality, skills, and attitudes toward the undead and other survivors in order to determine how likely the individual is to survive in a zombie attack. 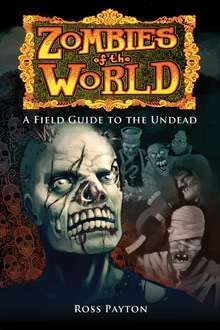 The quiz was based on material from Zombies of the World: A Field Guide to the Undead by Ross Payton. That is what my daughter said to me just the other day in the matter of fact kind of way which meant no matter what I wanted I was going to do exactly what she said. It doesn’t matter whether I had an opinion on the issue or not we were going to “kill some zombies.” I timidly said okay and did my damned best to choke down my geeky tears of pride and joy (which may or may not have looked more like a seizure). My little girl was growing up!